Imagine relaxing on the beach without a care in the world, or hiking through the Costa Rican jungle? Your dream holiday is possible when you let First Choice do all the work. They are the UK's all-inclusive holiday experts! As well, there are tons of First Choice discount codes and First Choice voucher codes available. Minimum spend of £1500 is required - must travel between 1st May - 1st October 2019. Apply this First Choice discount code for £100 off holidays. You must travel between 1st May - 1st October 2019 to qualify for this offer. The deals don't last long, but the savings are incredible! If you're looking to get away soon, plan your trip with these amazing First Choice to offers and enjoy up to 70% off! Plan a trip to Greece, Cyprus or Turkey this summer and take £75 off when you spend £750, £150 off £1500, or £250 off £3500 with this First Choice discount code. Take a break to Spain or Italy and save up to £125 off select holidays with First Choice! Get your holiday for less! Find your dream destination and go for up to 11% off at First Choice online. Book your First Choice all inclusive holiday today and you can experience your dream vacation for less. Searching for more deals? The First Choice discount codes page has all their current offers listed for your convenience. Are you thinking of going on a break? Book with First Choice to save upwards of 30% off! Just book your First Choice holiday today and bring the kids for no extra cost! Pay for 2 adults and kids fly, stay, and eat for free on select holidays. Planning a trip for the entire family? Book through hundreds of short First Choice holidays and save up to £300 off per person! Planning a holiday? Book with First Choice holidays and you can save nearly £250 in the month of April. Treat yourself to a luxury getaway and receive up to 40% off at First Choice. There's no better way to bond than a family vacation. Select packages start at just £380. Looking for deals on family travelling? Well, you're at the right place. Book today with the First Choice Holiday Village for massive savings. Organising First Choice holidays is much easier via the First Choice app. Available for iOS and Android devices, MyFirstChoice lets you search for packages, manage bookings, and access First Choice discount codes too. So it's both a handy tool and a way to make travel savings. If you need to chat to staff about your travel plans, the First Choice contact number is: 0203 451 2720 (9:00-19:00 Monday to Friday, 9:00-18:00 Saturdays, 10:00-17:00, Sundays). There's also an email form online. So whether you need to discuss First Choice check in methods or using First Choice voucher codes, help is at hand. Getting ready to fly is simple with the First Choice manage my booking tool. When you book First Choice holiday village stays or First Choice all inclusive packages, you can log into your account to change dates, book extras like car rental, and check in for your flights. Spend your holidays worry free with First choice deals on trips starting at £245. Book short haul holidays to Italy, Spain, Portugal, etc. & enjoy up to 45% off at First Choice. Treat yourself to a Winter getaway and save £150 off select flights during the First Choice Black Friday sale. Part of the multinational TUI Group, First Choice is a British travel company which specialises in selling all-inclusive breaks. First Choice holidays range from Morocco to Thailand, with first choice discount codes opening the way to global adventures. You can book holiday villas via First Choice homes, stay in luxury hotels, or enjoy the services at First Choice holiday village locations, which are set up for families. First Choice holidays are usually excellent value for money, but with First Choice deals you can save even more when you get away. 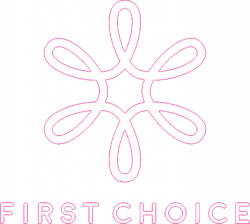 First Choice sales take place all the time, and are divided into short, medium and long-haul destinations. There are also seasonal recommendations, and First Choice promo codes and First Choice discount codes for last minute escapes. Families should be able to find discounted tickets for destinations with First Choice Splash World water parks. And if you want seclusion, there are plenty of deals for First Choice homes as well.